The Indonesia Tourism Board operated an Indonesia tourism promotion center at the Convention Plaza inside the Centum City Station on Busan Metro Line 2 in Korea on August 6 and 7. In addition to distributing diverse promotional materials featuring the tourist attractions in Indonesia, the promotion center garnered much attention with various events such as traditional music performances, an Indonesian coffee and snack tasting event, and a prize giveaway. 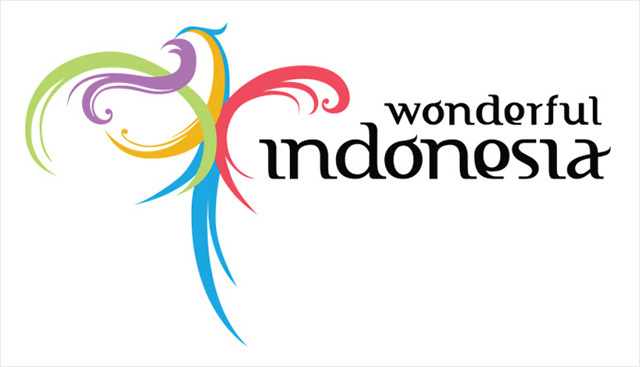 The Indonesia Tourism Board also operated an Indonesia tourism promotion center at the IFC Mall in Yeouido, Seoul and the Suwon Lotte Mall in April and May, respectively. Aside from operating the promotion centers, the Indonesia Tourism Board has been actively developing new tourism products such as FAM tour programs and opening new flight routes to Indonesia via low-cost carriers (LCCs). Of particular note, Arief Yahya, the Minister of Tourism of Indonesia, visited Korea in June to discuss the major issues for launching new flight routes with LCC representatives, and helped the conclusion of an MOU between the travel associations of the two countries. Afterwards, the Indonesia Tourism Board held the Cruise Sales Mission to present the possibility of going on a cruise to Indonesia, which is an archipelago. 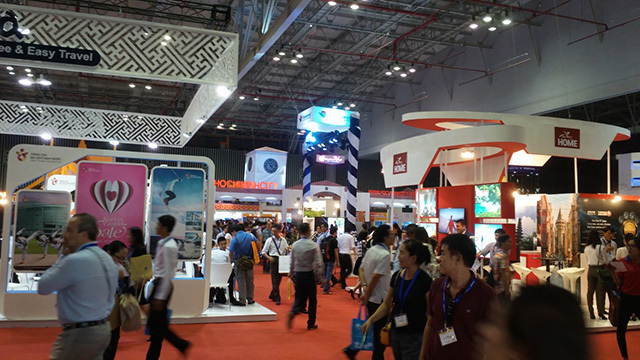 The 12th International Travel Expo Ho Chi Minh City (ITE HCMC) held at the Saigon Exhibition & Convention Center (SECC) from September 8 came to a successful conclusion on the 10th. ITE HCMC, which has established itself as a representative annual international tourism event of Vietnam, is jointly held by Cambodia, Laos, Myanmar and Vietnam, situated in the southern part of the Mekong region. The objective of the event is to promote the four countries as attractive tourism destinations, and to introduce inbound and outbound tourism to the tourism businesses and the public. This year? ?s ITE HCMC, with the participation of some 300 organizations and companies from 32 countries, attracted 30,000 visitors. In addition to presenting a wide variety of tourism products from the Mekong region, the Asia-Pacific, and around the world, it also shed light on the in- and outbound as well as local tourism, as a comprehensive travel expo. The wide range of programs such as B2B and B2C events, seminars, and the tourism award ceremony also received a positive response from the participants and visitors. Taichung Jazz Festival, a large-scale outdoor music festival, has been held successfully for the past 12 years under the slogan, ? ?Enjoying Jazz in the Civic Square in October.?? 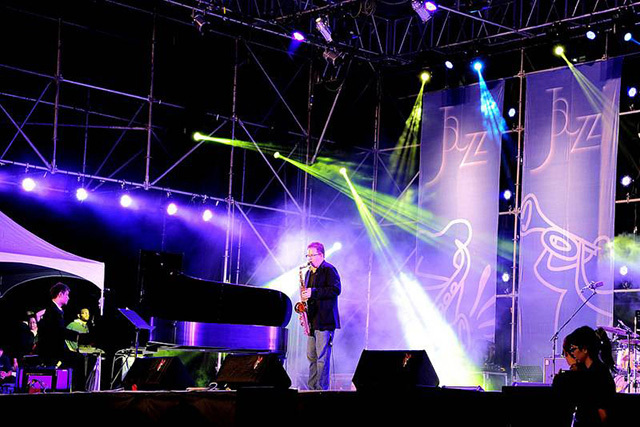 It attracted more than 100 foreign jazz musicians to Taiwan by 2014, and has featured over 500 performances. The Cultural Affairs Bureau of Taichung City Government has organized a wide range of ? ?Taichung Art Festival?? events to be held between September 30 and October 9. So those who are jazz enthusiasts should not miss out on the chance to enjoy the ??Love∙Jazz?? music fest in the last five days of the festival. Visitors can enjoy the original performances by global musicians in Calligraphy Greenway and at the Civic Square. The Cultural Affairs Bureau plans to expand the performance of jazz into Tunggu, Port of Taichung(? ?区) and Huludun cultural centers, expecting that more residents of Taichung will be able to enjoy the exciting jazz. China International Comics Festival Expo (CICF EXPO) is a comics, animation and game exposition hosted by the State Administration of Press, Publication, Radio, Film and Television of the People's Republic of China and Guangdong Province People's Government, and organized by the Guangdong Province People's Government and Guangdong Press, Publication, Radio, Film & Television Bureau. It has been held with the government? ?s support as part of the plan to promote the advances in the comics and animation industry in the National 12th 5-Year Plan. 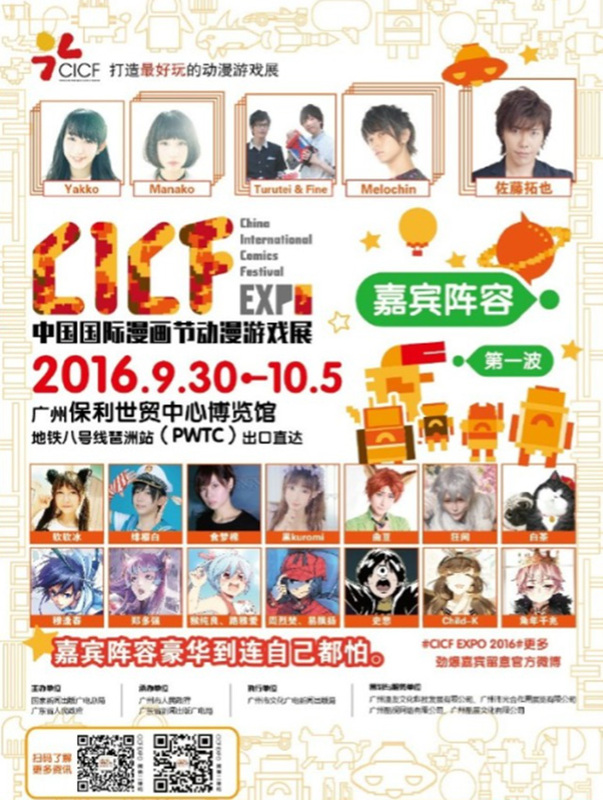 With a long and brilliant history, CICF EXPO has become one of the most popular annual events held in Huanan, China. CICF EXPO was promoted to the status of a national exposition in 2014, and was organized on a larger scale, attracting 180,000 visitors over the course of 5 days. In 2015, the scale of the event grew considerably larger with the introduction of comprehensive entertainment concept beyond comics, animation and games. Last year, it recorded 200,000 visitors and received lavish praise from various sectors of society. CICF EXPO 2016 is set to be held at the Poly World Trade Expo Center in Guangzhou from September 30 to October 5, with plans to present the public with rich and diverse content to provide improved services. Professionals and enthusiasts in the comics and animation industry will experience the outstanding interactive programs. 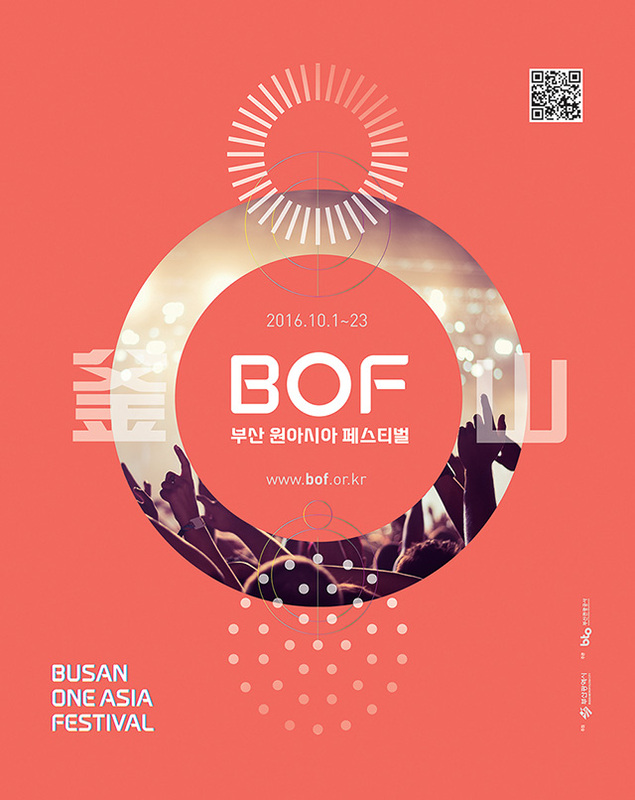 One Asia Festival is where you can enjoy Hallyu (Korean wave), ranging from K-pop, K-beauty and K-food in the beautiful city of Busan in Korea! It is expected to bring liveliness and excitement to Busan in October, along with the Busan International Film Festival and the Busan Fireworks Festival. The opening and closing ceremonies will feature fantastic performances, while K-pop concerts and fan meetings will allow fans to meet their favorite K-pop groups and artists. Visitors will also get to try trendy foods at One Asia Taste Busan, and peep at the secrets of celebrity? ?s beauty at the Korean Wave Star & Beauty Collection. The mega Hallyu festival held in the whole month of October under the slogan, ? ?Enjoy Hallyu and Asian Culture in Busan,?? will consist of a wide range of events and programs that will show the growing popularity of Hallyu and Korean culture to the whole world.
? ?Busan Cinema Center, Cinemas in Haeundae, BIFF Square in Nampo-dong, etc. Busan, a dynamic and ever-changing city, bears a resemblance to films that can be divided into diverse genres such as romance, action and drama. Every Fall, the beautiful coastal city becomes packed with films and their enthusiasts from across the world. At the Busan International Film Festival (BIFF), visitors can enjoy a wide range of films, and meet the film producers and directors for a Q&A session at the Open Talk on an outdoor stage and the Guest Visit (GV) in addition to meeting the cast members. There is something that makes BIFF extra special. That? ?s the Busan Cinema Center which hosts the opening and closing ceremonies of the festival. 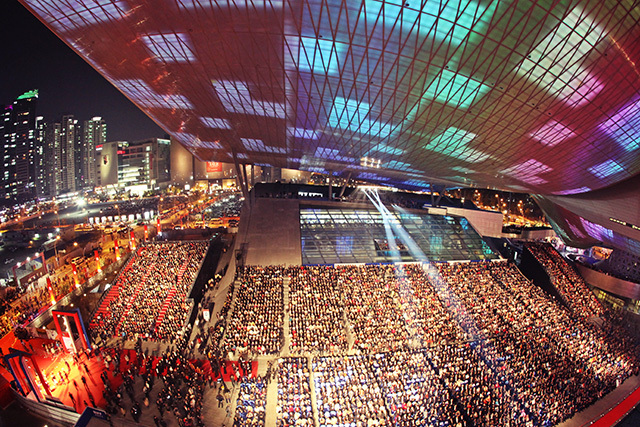 The big roof of the Busan Cinema Center is the world? ?s largest cantilever roof that has even been listed in the Guinness World Records. You will be able to get immersed in the beauty of motion pictures at BIFF in the sentimental season of fall. This is a season when mountains get covered with colorful foliage and the seawater dances against the wind. As the night is getting deeper, the residents and visitors in Busan will get to enjoy a fantastic festivity of lights over the vast sea with glistening waters and against the backdrop of the stunning Diamond Bridge. 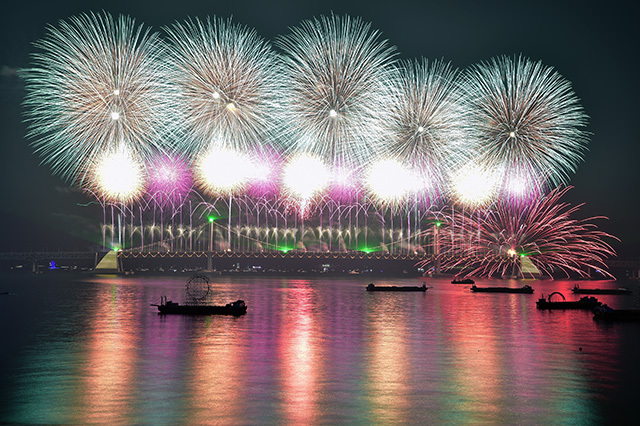 The Busan Fireworks Festival is an international festival that attracts over 1 million tourists to the city. It is expected to attract a bigger crowd this year along with the One Asia Festival. The jaw-dropping fireworks and laser show will embroider the sky and the sea with beautiful lights and leave the onlookers completely enraptured. Get a designated seat on the beach to enjoy the fireworks show up-close in comfort! But no matter where you get a seat to watch this festivity of lights, you will have wonderful memories at the Busan Fireworks Festival. Kagoshima, located in the southernmost part of Kyushu, Japan, will re-launch the cruise for rediscovery of the beauty of Kinkowan this coming October. This cruise program was launched after the opening of the Kirishima-Kinkowan National Park in March 2012, and the certification of Sakurajima-KinkowanGeopark in September 2013. 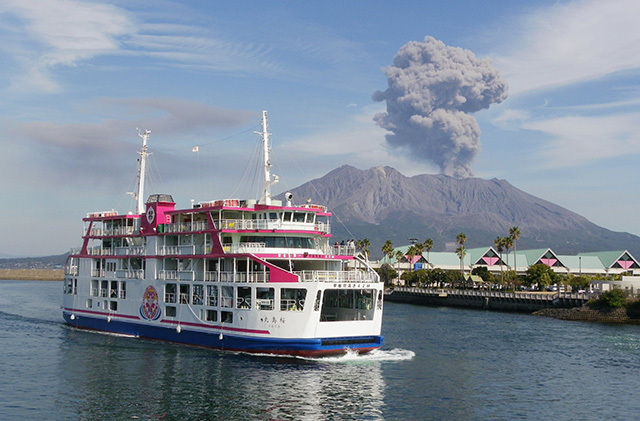 The cruise takes its passengers through Kinkowan, which is near the massive active volcano, Sakurajima. This fall, two new cruise programs, ??North?? and ??South,?? will be operated under the theme of ??Food?? and ??History.?? Cruise passengers get to check out the splendid natural scenery of Sakurajima and Kinkowan, while an expert provides an explanation of the area. There are experience programs available during the cruise, which are popular among people of all ages. The cruise lasts about 2 hours and 15 minutes, and a ticket for enjoying the beauty of Sakurajima and Kinkowan costs just 1,000 yen. Geoje is a clean and beautiful city in Korea that is known for the deep blue sea and the kind and generous residents. 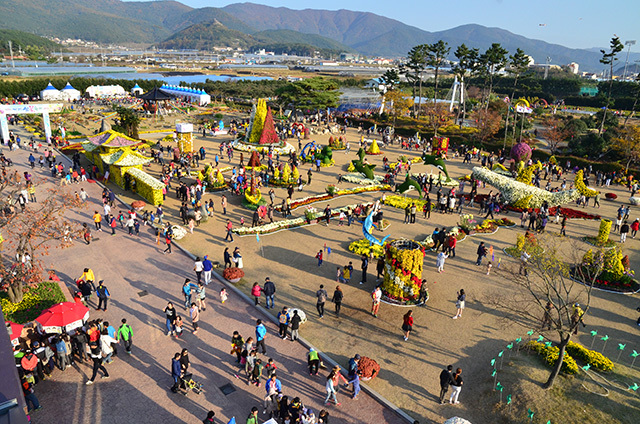 For 9 days from October 29 to November 6, Geoje will be hosting the 11th Geoje Island Flower Festival to exhibit the fall flowers cultivated in the city at the Agricultural Development Institute. The festival was launched in 2006 as an exhibition of fall flowers, and it has been developed as an original festival model at the Nanji Agricultural Test Center of the Agricultural Development Institute. It is a flower festival that brings people together for an appreciation of flowers and culture, and it has gained fame as a ? ?festival created by the citizens.?? This year? ?s Geoje Island Flower Festival will be held under the slogan, ? ?Touching Handmade Festival Made in Geoje.?? It will consist of some 60 programs under 6 themes such as ? ?Festivity of Fall Flowers,?? ? ?A Look into Korea? ?s Agricultural Industry,?? as well as performances, contests, experience programs and exhibitions. It is expected that numerous people from across the country and abroad will flock to Geoje to check out more than 100 million fall flowers and the gorgeous natural environment. 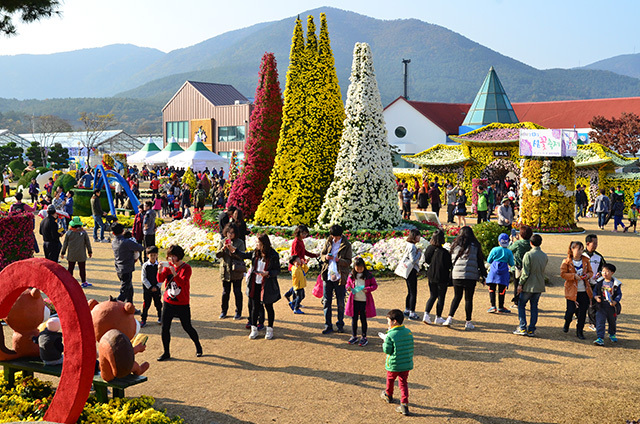 Main Event ◦Thematic halls: Sea of Flowers (grass square), Healing Herb Land (large glass greenhouse), Insect Hall, Agriculture Theme Park, Island Flower Garden, Geoje Camellia Garden, etc. ◦Promotion of farming technologies: Subtropical fruits, fruit vegetables, wild flowers, wild orchids, medicinal herbs, fleshy plants, aquatic plants, etc. Performances ◦Gugak (traditional Korean music), folk music, madangnori (traditional Korean outdoor performances), flying kites, dance, magic show, band performances, etc. Experience Programs ◦Insects, handicrafts, natural soaps, traditional culture, etc. Exhibitions & Shops ◦Exhibition: Potted plants, photographs, handicrafts, poetry and paintings, ornamental rocks, farming machines, etc. ◦Shops: Agricultural, fisheries and specialty products, local foods, etc. Contests ◦Potted Chrysanthemums, Youth Rock Festival, etc. WAKUWAKU JAPAN, a 24-hour Japanese broadcasting channel, has begun airing on cable TV and IPTV in Taiwan. 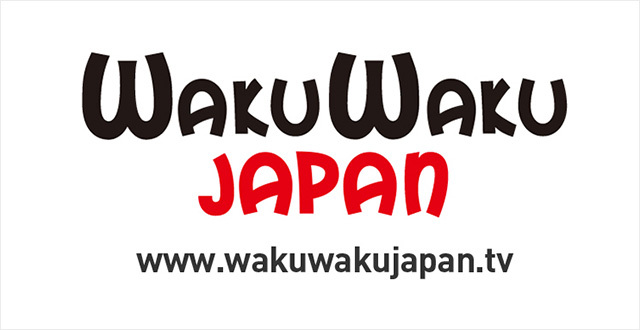 WAKUWAKU JAPAN, launched in Indonesia in February 2014, is now available in five countries: Indonesia, Myanmar, Singapore, Thailand and Taiwan. This means that 5.2 million households and around 20 million people will be able to watch WAKUWAKU JAPAN through their cable TV or IPTV subscriptions (Thailand, where 50 million people can watch the channel, was excluded, as the channel is available via terrestrial broadcasting service). Also, the channel is set to launch in Sri Lanka in the near future. The population of Taiwan is around 23.5 million, with 8.46 million households. The subscription to the pay television service is nearly 90%, which means that most households have subscribed to cable TV or IPTV. It? ?s reported that Taiwanese are highly interested in Japan and Japanese culture. According to a survey conducted by the Interchange Association Taipei Office, asking the respondents to name their favorite foreign country, Japan ranked No. 1, with a whopping 56% of the votes. The favorable view of Japan has fueled an interest in Japanese content and increased travel to Japan. In 2015, 3.67 million Taiwanese travelers visited Japan, which could be equated to 1 out of 6.3 Taiwanese. Also, Taiwanese travelers in Japan have spent more than JPY 520.7 billion in 2015 alone, which has greatly contributed to the growth of Japanese economy. WAKUWAKU JAPAN plans to spur efforts to promote interchanges between Japan and Taiwan through its broadcasting services and other sectors. They will air the latest dramas that have not been aired in Taiwan and dramas that have already received a positive response from the Taiwanese viewers, in addition to conducting campaigns and creating products using popular characters from Japan. They will also collaborate with numerous Japanese enterprises as a way to promote Japanese products and tourism into Japan.